On Wednesday 30th May, we met for the most recent cover supervisor training. It took place at Elizabeth Garett Anderson School in Islington, in a great self-contained room called the Pod. The group were on good form, contributed to all the discussions enthusiastically and enjoyed playing some games together throughout the day. 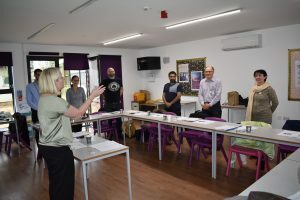 As the session progressed, the group were advised about what is involved in being a Cover Supervisor, what is expected of them by the school and what the candidates should expect from the school. 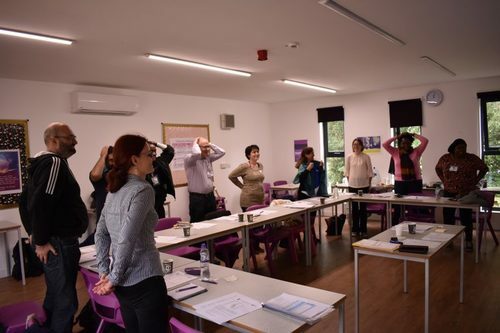 A lot of discussion and advice was given about managing behaviour as that is always the most challenging, but not necessarily the most difficult part, of keeping students safe and on task. After a delicious lunch provided by Step Teachers and a pleasant break, we continued discussing dos and don’ts and how as cover supervisors, the candidates can support students with their learning. Having one of our consultants with us was great, as it was an opportunity for him to meet the candidates and to offer valuable advice about how our schools support cover supervisors. Aidan took some fantastic action photos to reflect our productive and informative day.